Tiger is a very lucky kid: she has a monster living under her bed. Every night, Tiger and Monster play games until it’s time for lights out. Of course, Monster would never try to scare Tiger—that’s not what best friends do. 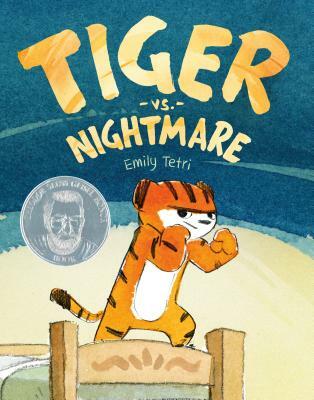 In this charming graphic novel for young readers, cartoonist Emily Tetri proves that unlikely best friends can be an unbeatable team, even agianst the scariest monsters. Emily Tetri grew up in St Louis, Missouri, where her childhood was mostly spent drawing, making up stories, and running feral outdoors. She went to the University of Southern California where she graduated with a major in animation. She would later work as a background designer and painter for TV animation. She currently lives in Los Angeles where she draws and makes up stories for a living, but continues to run around outdoors with her dog every chance she gets. She is the author of Tiger vs Nightmare.